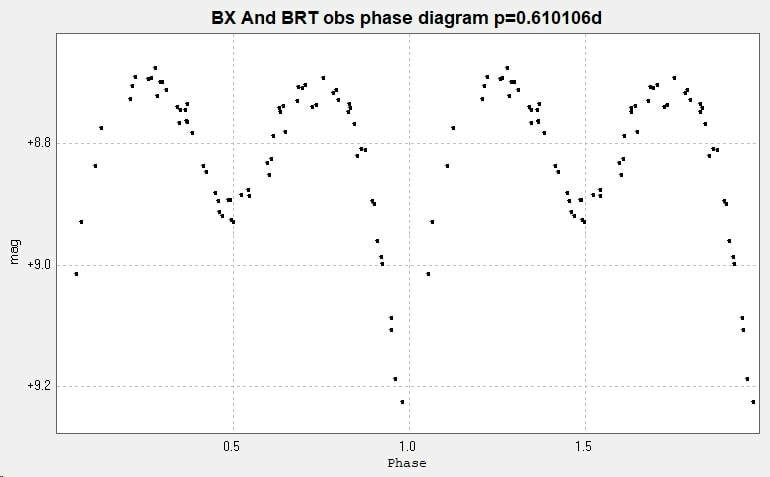 Light curve of the EB type eclipsing binary BX Andromedae / BX And from 69 images taken with the Cluster Camera of the Bradford Robotic Telescope between 2013 September 1 and 2016 October 1. 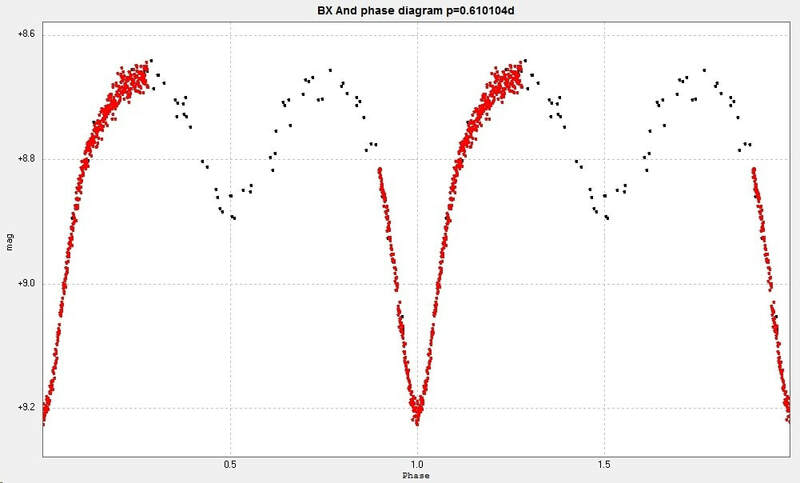 ​These observations lead to the following phase diagram. 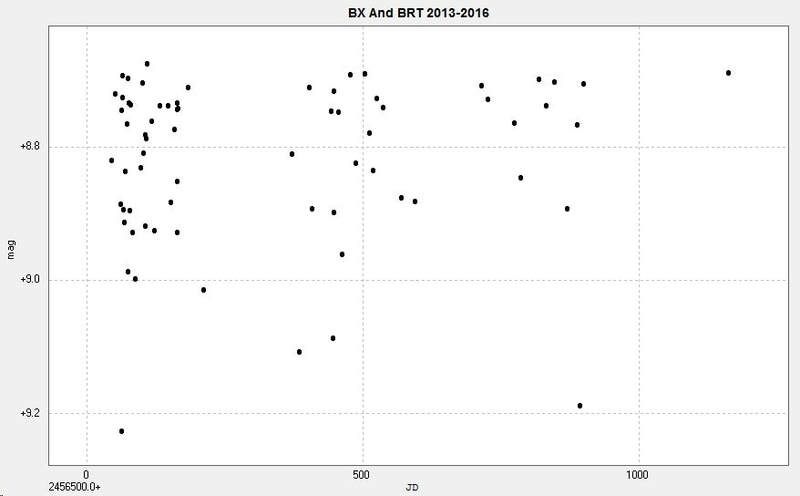 Primary minimum of BX Andromedae observed from Somerby with the 2" Titan at Somerby Observatory, photometry from 619 unfiltered images. ​The scatter is larger than ideal, but weather conditions and low altitude interfered. The above two sets of data have been combined into the following light curve. 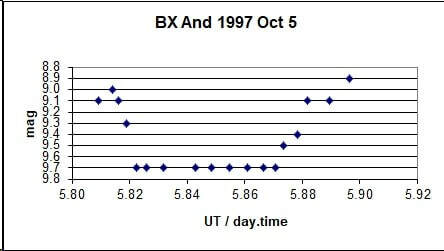 The vertical red line is the observations with the 2" Titan made on one night. 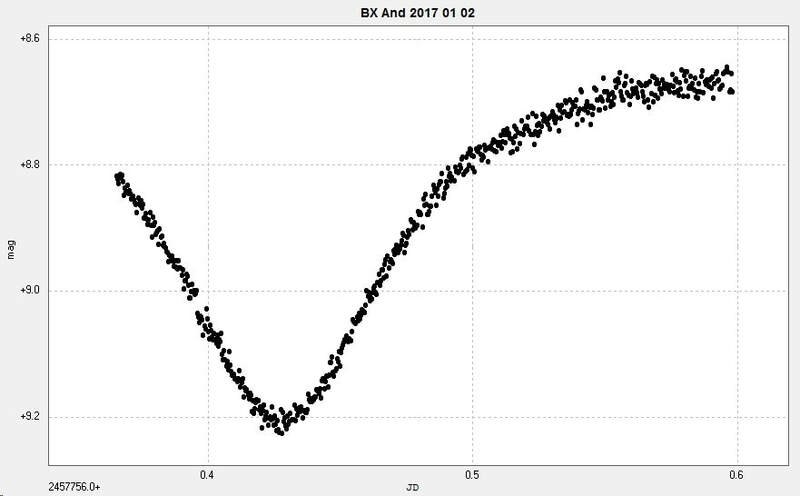 ​The same diagram, but in monochrome, is below. 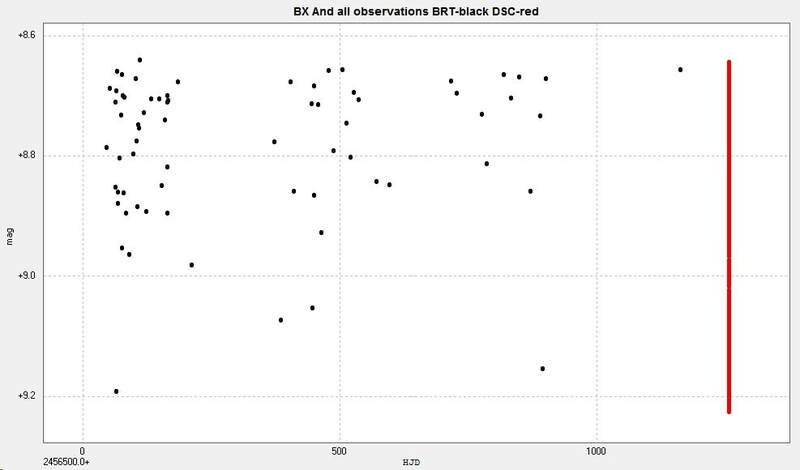 ​This is an example of a primary minimum observed visually with 15x80 binoculars from Leicester.